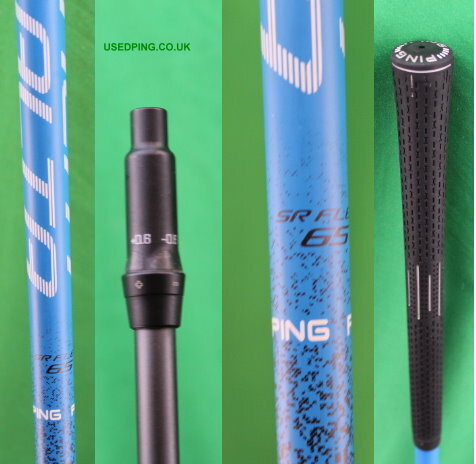 Shaft - Regular flex PING Alta 65 graphite shaft, for golfers with average swing speeds. Condition - Good. The PING G 2016 Fairway Woods have high strength tall steel faces, turbulators and excellent weighting to provide long, accurate and consistent shots. G woods have an adjustable hosel so loft can be adjusted by up to 1 degree either way. The SF Tec model is designed to provide a straight ball flight. Includes the original adjustment tool. Shaft - Soft / Regular flex PING ALTA 65 3-Wood graphite shaft, standard length, for golfers with slower swing speeds. Condition - Excellent / Very Good. Soft / Regular flex PING ALTA 65 3-Wood graphite shaft, standard length, as used on the 'G 2016' 3-Woods. SHAFT ONLY DOES NOT INCLUDE A HEAD. Shaft - Soft / Regular flex PING ALTA 65 5-Wood graphite shaft, standard length, for golfers with slower swing speeds. Condition - Excellent / Very Good. Soft / Regular flex PING ALTA 65 5-Wood graphite shaft, standard length, as used on the 'G 2016' 5-Woods. SHAFT ONLY DOES NOT INCLUDE A HEAD. The PING ‘G’ fairway woods are designed to get the ball into the air as easily as possible. The ‘G’ fairway woods have a low leading edge which helps to get the club under the ball enabling ball impact to occur higher on the face. The PING ‘G’ woods have a very thin crown to enable the centre of gravity to be far back to ensure a high launch and low spin thus providing extreme forgiveness. The PING ‘G’ fairway woods have a carpenter 455 steel face which is more than twice as strong as a traditional 17-4 face this enables an increase in face flexing to produce faster balls speeds for higher launching longer shots. A unique process adds roughness to the face to reduce unwanted spin. All the PING ‘G’ woods have crown turbulators that aid in aero dynamics and ball alignment. The ‘G ’ woods has an adjustable hosel which allows the clubs loft to be adjusted by one degree either way. The PING ‘G SF Tec’ Fairway Woods are designed for golfers prone to slicing the ball by using the PING Straight Flight technology the ‘G SF Tec’ Woods create a right to left spin (for right handed golfers) to help to bring the ball back onto the fairway. The ‘G SF Tec’ fairway woods have the weighting closer to the heel, a lighter swing weight and higher lofts to help golfers create that right to left ball flight. The ‘G SF Tec’ woods have an adjustable hosel which allows the clubs loft to be adjusted by one degree with way. The PING ‘G Stretch’ fairway woods are engineered to create a longer distance from the tee. In essence it is a driver replacement with a larger 184cc head, slightly forward centre of gravity and 13 degrees of loft. The lead edge is low to the ground so impact occurs high on the face. 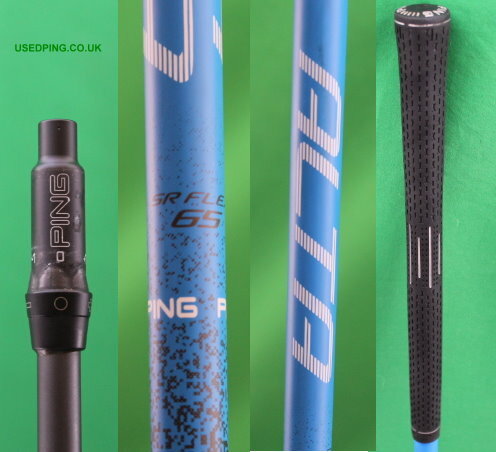 The PING ‘G Stretch’ woods provide low spin, forgiveness and long distance shots. The ‘G Stretch’ woods have an adjustable hosel which allows the clubs loft to be adjusted by one degree with way. The PING TOUR 65 graphite shaft available in Regular, Stiff or Extra Stiff flexes. The heavier PING TOUR 80 graphite shaft available in Regular, Stiff or Extra Stiff flexes. The ALTA 65 graphite shaft which provide higher launch available in Soft / Regular, regular, Stiff or Extra Stiff flexes.